Beauty | Nails Inc X Selfridges 15 minute mani! 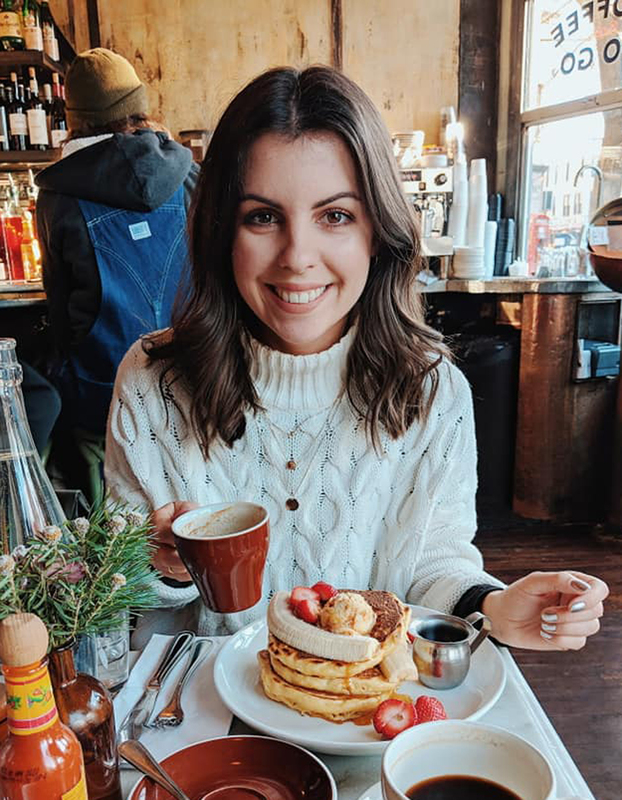 Last weekend is one of the best I’ve had in a long time, mainly because on Friday I enjoyed a very girly afternoon and evening with Chloe. After finishing work early, I headed to Selfridges where I met Chloe for a Nails Inc manicure. 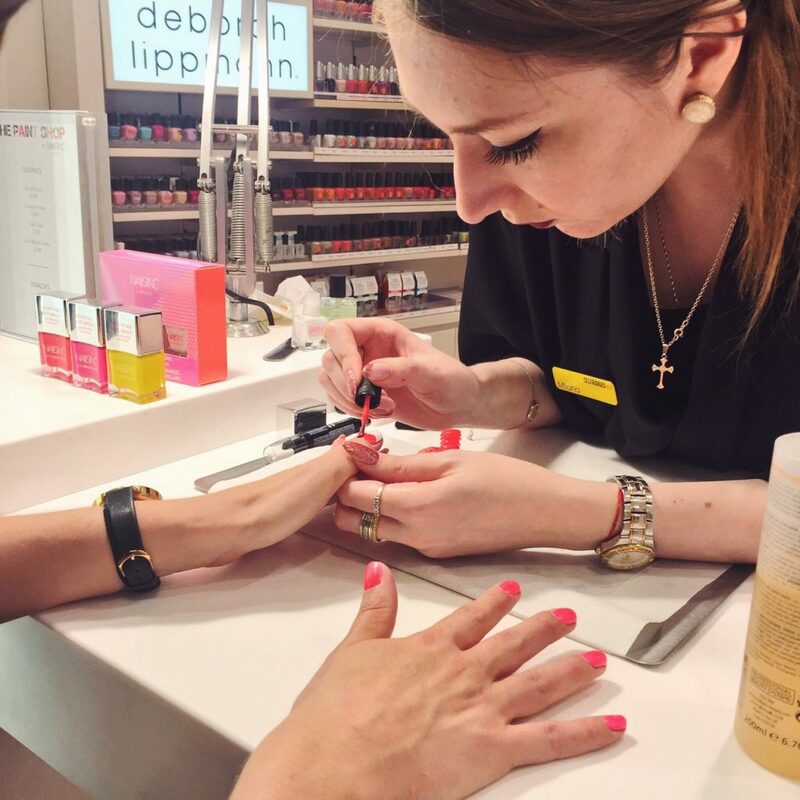 Located towards the back of the store, through the beauty department, is Selfridge’s ‘Beauty Workshop’, where Nails Inc have a pop up nail bar offering 15 minute manicures. On arrival we were greeted by Marina, who would be the nail technician sprucing up our nails. She led us over to the wall of Nails Inc polishes that adorn the bar. There were quite literally hundreds of colours to choose from. Being the indecisive person that I am, I was a little overwhelmed. But Marina was really helpful and began by showing us Nails Inc’s new collection of neon polishes. As I’m the type of person who accessorises my outfits with a bright nail colour, I was immediately drawn to these eye-catching colours. Dressed in a simple black outfit, I ended up choosing Great Eastern Street – a fantastic neon pinky/orange colour. This looked great against my faintly tanned hands and really stood out with my outfit, adding that pop of colour that I love. The secret to Nails Inc’s fantastic neon range, and their truly dazzling colours, is something they call a ‘neon activator’. This little gem is added to the nail after the base coat, creating a white base to place the neon colour on top of. Thus giving the orangey/pink tone a perfect base to really pop! After two coats of Great Eastern Street, I was ready for my 45 second top coat, and was then free to take lots of photos of both my nails and the cute nail bar. Chloe chose a gorgeous soft, yet still summery bright, blue colour. This went perfectly with her outfit comprising of a blue and white stripe shirt and denim jeans. Together both colours looked amazing, and we both felt well and truly pampered after our time with Marina. 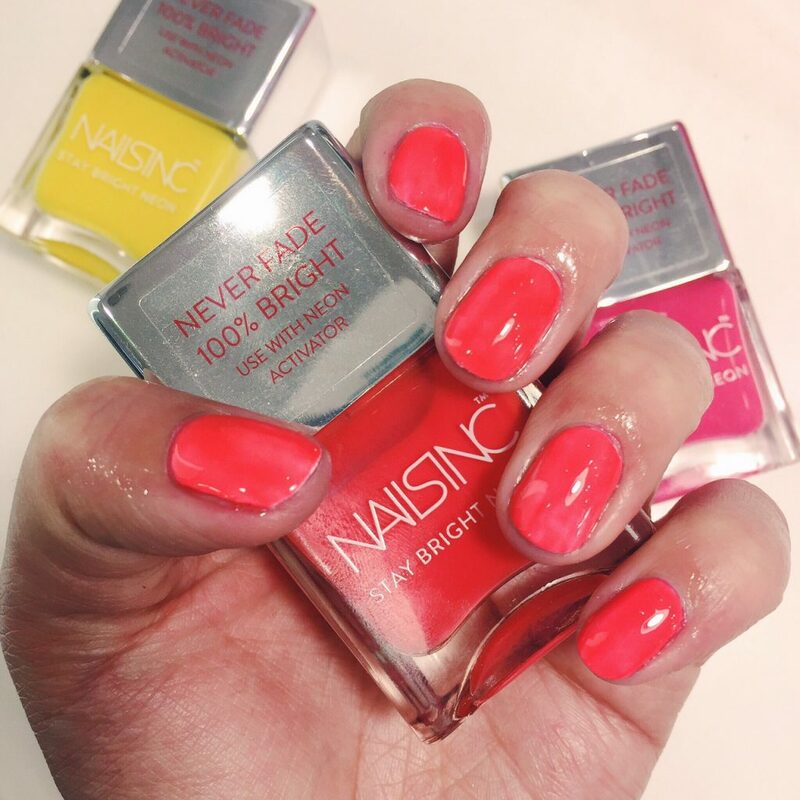 Priced at £15 each, the new neon range from Nails Inc also includes a beautiful bright pink and an eye-catching yellow. The neon activator costs just £8 and will make sure your nails not only look fantastically bright but also withstand the test of time. My nails lasted at least 4 days before my index fingers began to chip. And considering that included going to a festival (which my nails looked great for by the way), I was impressed!